The US Supreme Court has agreed to rule on whether federal trademark law governs a case involving labeling of a product regulated by the Food and Drug Administration (FDA). 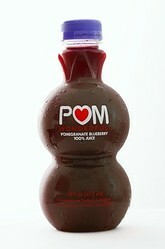 The question before the Supreme Court is whether the Ninth Circuit erred in concluding that POM, as a private entity, was not allowed to file a complaint under federal trademark law since the juice drink was regulated by the FDA under the U.S. Food, Drug and Cosmetic Act. The federal Lanham Act governs federal trademark law, including false-advertising suits.